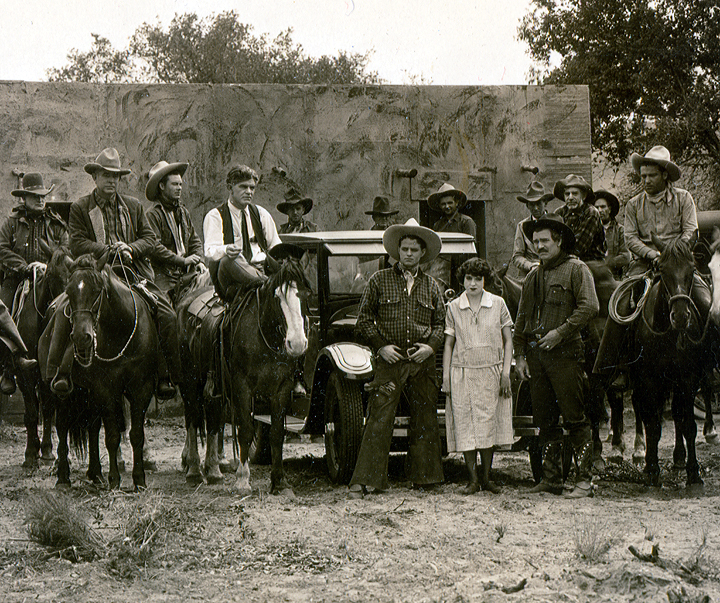 On a film set in Placerita Canyon, early 1930s. 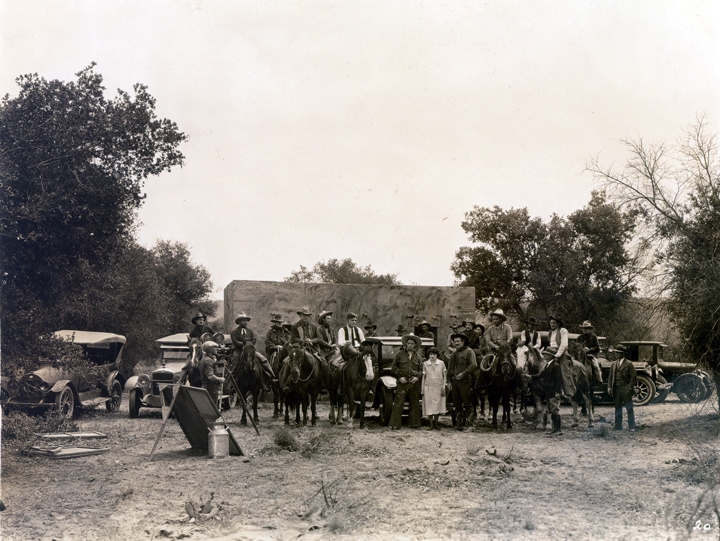 8x10 photo from the collection of stutman Andy Jaregui of Newhall. 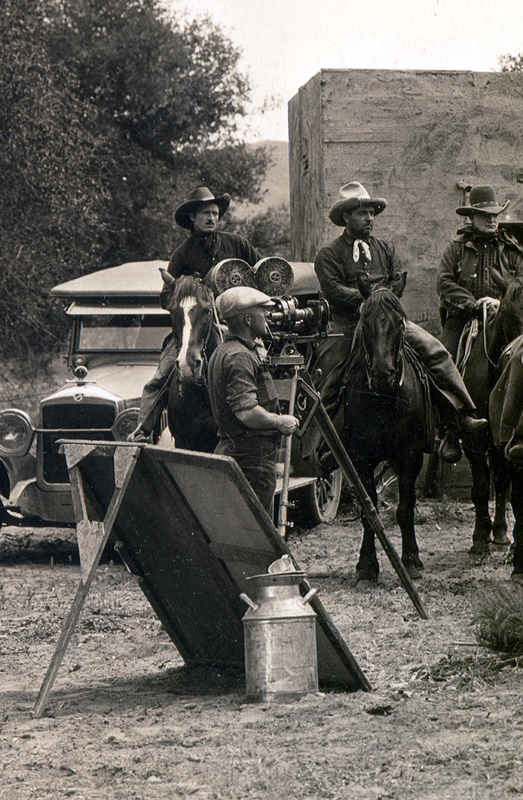 Caption on the back by Jaregui's daughter, Noureen Baer of Newhall, reads: "Epic film being shot on location  simple set  small crew in Placerita Canyon in the very early '30s. Note the liner of the leading lady's dress! If in doubt, use a magnifying glass." Print purchased 2007 by Leon Worden, donated to SCV Historical Society.